Story on India's beef ban. Photographed in Aurangabad, Maharashtra for Foreign Policy Magazine. 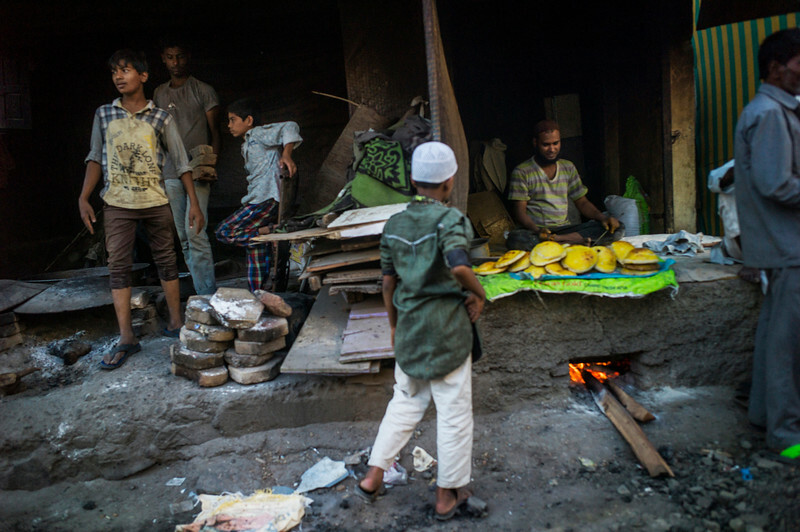 A roti shop seen in a muslim neighbour hood in Aurangabad. Because of the lower cost, beef is the choice meat for poor muslim families, the dalits, and the lower income hindu households. In March 2015, Maharashtra government introduced a bill to ban slaughter of bulls and bullocks. This ban has been opposed by the muslim community (especially qureshi - the butcher community) as it impacts their lively hood.